The new album of Turin artist Neekoshy is now available for free download. “Love and fight” is title of this work consists of 10 tracks which the singer express pure sonority of reggae. The texts expressing different themes, from fight till arriving to love lyric. 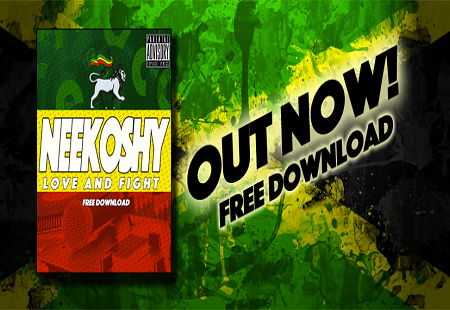 E' disponibile in free download il nuovo album dell'artista torinese Neekoshy. "Love and Fight", e' il titolo del lavoro composto da 10 tracce che vedono il singer esprimersi su sonorità prettamente reggae; i testi trattano tematiche che spaziano dalla lotta fino ad arrivare a liriche d'amore.